Hey guys. September has finally ended. *_* I'm now back to blogging mood (hopefully) and have lined up a bunch of makeup reviews. The weather is still not cooperating and we barely get any sun so my pictures are not coming out the way I want them to be. Still, I'm trudging on with the reviews though, I am slowly finding the joy of playing with makeup once again. 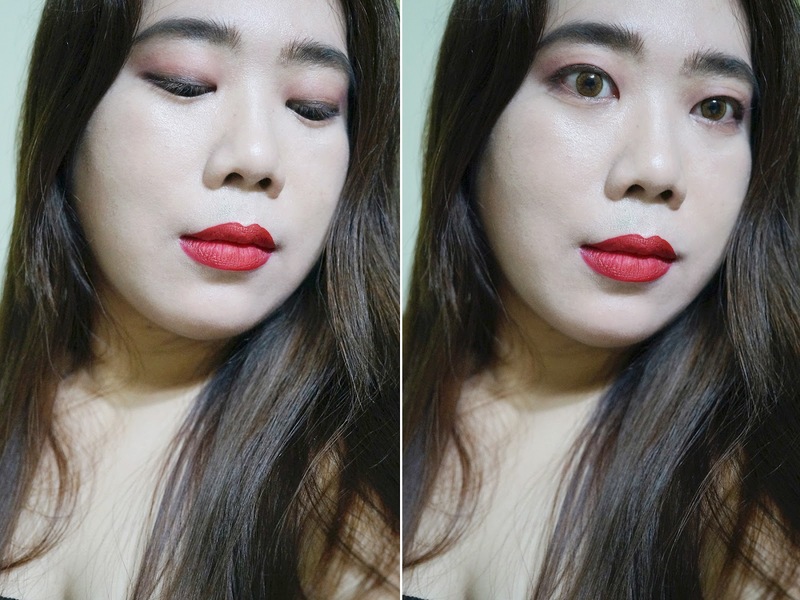 Due to the bleaker weather, I've been wearing darker (and redder) lipsticks lately. I just feel that they give more color to my face versus nudes shades. So for today's lipstick review, I have Kat Von D Everlasting Liquid Lipstick in Outlaw. 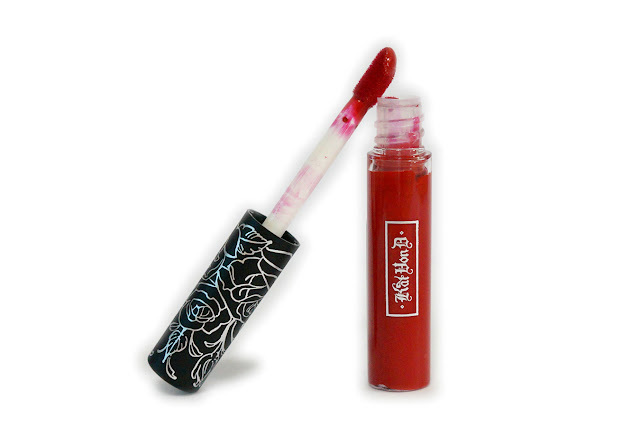 Available in a range of shades, this breakthrough liquid lipstick gives lips long-lasting wear and high-pigment colour. Its creamy, colour-rich formula glides over lips as effortlessly as a gloss, but dries to a true matte finish that feels weightless all day long. 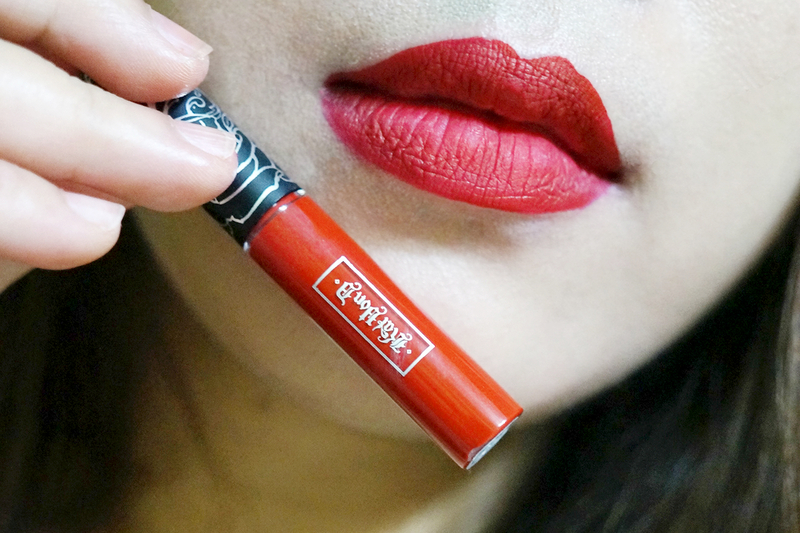 It’s infused with natural comfort-enhancing ingredients, including vitamin E and sunflower seed extract, so you can flaunt lasting matte colour. Outlaw is described as a "brick red." This shade is a medium true red with warm undertones and a true matte finish. The color reminds me of MAC's Ruby Woo which is a classic red that's flattering across all skin tones. I find that this kind of red beautiful against my complexion as it really brightens up my face. This is my first time trying out anything from Kat Von D so I have no prior expectations. 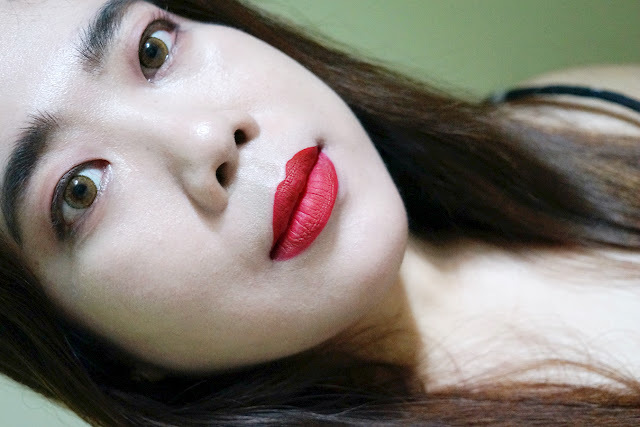 I was pleasantly impressed with this lipstick's full opaque pigmentation. The color payoff is rich and vibrant with only one layer. This went on smoothly and evenly and didn't settle into any lines. I find the dry time a bit quick (less than a minute) but still enough time for me to do a precise application. 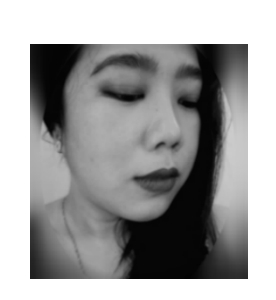 The first time I applied this lipstick, I was in a hurry so I smeared it on my lower lip. The resulting mess took some effort to clean up as the lipstick dried quickly and it was hard to remove. If you could apply this lipstick cleanly (and not be clumsy as I am), then you would appreciate how difficult it is to remove. This only means that this lipstick would last a long time. 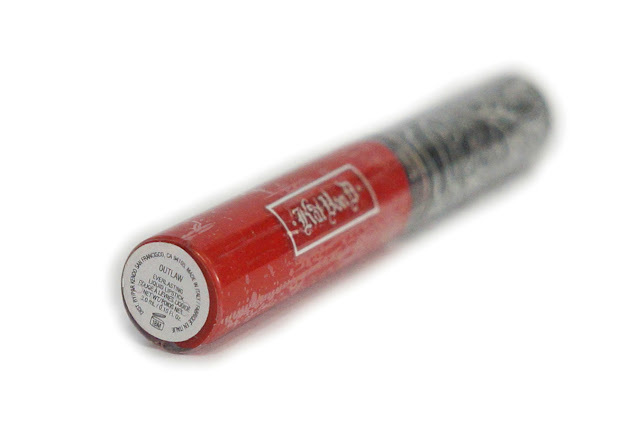 This lipstick has a creamy consistency and feels very lightweight. With the long-wearing formula, comes the trade-off of it being drying. My lips felt dry after about three hours. It didn't crack nor flake. The color still looks nice after six hours.